Published: Jul 13, 2007 to ? 3-gatsu no Lion was nominated for the 2nd Manga Taisho Award in 2009 and in 2011, won the 4th Manga Taisho Award and the 35th Kodansha Manga Award in the general category (shared with Uchuu Kyoudai). In 2014, the series won the Grand Award of the 18th Tezuka Osamu Cultural Prize. The series has been published in Spanish by ECC Cómics since October 31, 2017, and in Italian by Planet Manga since Febraury 13, 2011. The failure of a sports manga, or a sports story, comes when the activity is segregated from human perception and life itself. There’s one scene in the completely over the top TV series Aoi Honoo where Honoo realizes that the secret to Adaichi Mitsuru’s success as a sports writer was that he wasn’t writing sports manga at all – but school manga. This, to me, is the secret to making a sports story shine – the activity must be an excuse to develop human emotions, because this aspect is where it really sticks inside your head beyond the mere manipulation of parts. I find the same idea applies to mystery fiction, although a lot less people have opened up to this. The ingenuity of a trick is only one level, but when it becomes intertwined with heartfelt psychologies – like Isin’s mysteries or Hyouka – you have a way for the work to break its genre boundaries. Genre exists because people have realized that a certain kind of narrative structure can be abused to invoke certain pleasures inside a human being, and a limited genre writer is basically a person who sticks to a baseline abuse without allowing it to be seen in a different light. I’m not saying this is a bad thing though, since those who pull it off the best will be representative of the genre, but although they win over a certain segment of experience – they cannot ever develop a full scope of it. So mysteries would be abusive of the pleasure that one gets from a logical twist as well as fitting together disparate elements. Fantasy & Sci-Fi are abusive of the discovery of new worlds, ideas and cultures, while frequently forgetting that merely creating a new culture and explicating on it with high exposition is never going to ground it beyond anything other than a novelty. Slice of Life works on tranquility and nostalgia – but such a mood can be easily dissipated if it doesn’t allow for these moments to build upon one another. The moment one extracts the core abstract concept of a genre – that allows for it to be broken and utilized, while still retaining the pleasures of the genre itself. This is the core strength of 3-Gatsu no Lion. Like Chihayafuru, it develops the community around the activity and focuses on the lives of these professionals who have devoted themselves to such a narrow scope of activity. 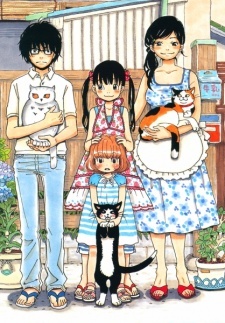 3-Gatsu no Lion’s primary strength as a Manga, and maybe even moreso than Chihayafuru, comes from Umino Chika’s talent for characterization and the kind of sentimental poetic mood that fits Shoujo Manga so perfectly. This gives it that atmosphere of ‘life itself’ – something which may deflect many viewers from enjoying it fully, but gives a resoundingly good payoff should one understand what it’s building up to. A sign that this approach is working is when you look back upon a character and realize that this character has developed without you realizing it. Like life itself, you suddenly look back on yourself and you have the impression that you were still that person you were before, but somehow everything has been recontextualized – you become surprised at the change. The is more or less what it feels like to see the world through the eyes of Kiriyama Rei – and by the time he achieves his stability later in the manga and comes into his own, you cannot pinpoint any overtly specific moments of development – but can only ambiguously grasp that the accumulation of a variety of experiences has built up and stacked and multiplied themselves against one another to forge him anew. More importantly, this change happens concurrently with the intersection of lives and other minds that populate the Shogi community Kiriyama is situated in, as well as the characters that inhabit his own personal life. This is vastly different with, for example, the kind of coming-of-age story that an author like Herman Hesse would write, whereby all the other characters serve as symbolic representations for the development of the protagonist (Hesse is still a good writer though, because of how well he does his style of plot). You can see this development of a community in a similarity between Chihayafuru and 3-Gatsu. Both Manga are willing to take a break from focusing on the young, who are slowly coming into themselves, in order to focus on the struggle between veterans who are finding themselves displaced by the newer generations. This kind of focus on every age bracket and the overall community as a whole is the sign of a work that’s willing to build a larger universe of human feeling beyond its initial premises. Boku no Hero Academia is able to do this to a certain extent, but since it still has its Shounen battle roots to consider, it has yet to break out into a full examination of the community to the extent that something like 3-Gatsu has. And here is the clear difference between a work that is about ‘loads and loads of characters’ and a work that is about ‘loads and loads of lives’. One seeks to push them like pieces on a Shogi board, towards a certain goal, while the other is willing to take the time to deviate from the goal in order to give it greater meaning. This is a skill that has to be learned – the importance of pause, digression, and atmosphere in developing a story. Another masterpiece from the wonderful insightful Chika Umino, the creator of the very successful series Honey and Clover. She really knows how to stir you up in emotions with her unique characters and plot. Story: What would life be like at the age of seventeen, living on your own with no real family and having to play Shogi to earn a living? This is the life of Rei Kiriyama, who is an introverted quietly awkward boy that’s been through so many traumas in his past, that it makes your heart swell. He is also a professional player of a Japanese board game called Shogi, which gives him the earning of making a living on his own. He has scarcely any friends. Among his acquaintances is a family of three sisters, a young woman, Akari, and two young girls, Hinata and Momo, that lost their parents too and who also keep a numerous number of cats. Another person he know from Shogi competitions is Harunobu Nikaidō, which declares he is Rei’s “best friend,” but Rei thinks other wise. Art: What can I say?! Chika Umino is a beautiful artist that has such a fresh creative way of making Character designs. She has such a unique style that it’s so sweet. She has great detail in her work, it’s just lovely! I give the rating of a 10! The Characters are so thought out; they feel so human and genuine with so many different kinds of personalities in the series. I just instantly grew to fall in love with them! I very much enjoyed this Manga, it was insightful, touching, sweet, funny, educational and all in all very wonderfully enjoyable! I can't wait for the next volume, I just want keep on reading this greatly wonderful series! Ps: This is my first review, so I really don’t know if I did much of good a job at it and I’m sorry for any mistakes I might of made. Sangatsu No Lion is a good manga that is less talked about than many others that it is superior to . Perhaps it's because of its synopsis which fails at being eye-catching .In any case this is not bad or boring provided you don't dislike slice of life . On to the review then . Being slice of life in its purest form ,Sangatsu No Lion doesn't exactly have what you can call a major plot line .This is just the story of a high school shogi pro with family issues .Like a biography ,you cannot exactly pick a point that represents the story even if it's the ending .That doesn't mean the content is poor or scanty however as his life and troubles are portrayed in a realistic and interesting manner .The score for this aspect of the manga could be seen as higher by some though I think 7 is the lowest possible score it should be given since it isn't plot driven .Calling it a 9 would not be something I say is incomprehensible though . Another difficult part to judge .The art might be seen by some as rough and not very neat while others might see it as good for the story's presentation .Sangatsu No Lion's drawings are not terrible though calling them excellent seems to be a stretch .In any case this is one of those things you have to see for yourself to judge and as it depends on your preferences I cannot but give it a score of 7 in relation to other manga . This is the manga's strong point .Being a drama SoL it depicts it's characters realistically .No plainly drab or boring characters to spoil the appeal of the series ,no ridiculously unbelievable characters to ruin it either .It does what it does well and that is enough .The MC especially is well fleshed out and can be understood .Some characters might be seen as slightly unrealistic by some but I don't think it affects the quality if this work . In terms of enjoyment I'd give this an 8 .It's a good read especially if you enjoy slice of life .To be honest this kind of manga isn't what I usually read and so I'm quite impressed by it .Don't worry about the synopsis and read it . The above ratings might put you off but I think this is a manga that can essentially be seen as greater than the sum of its parts .Drama/SoL lovers should like this especially . Losing your parents at a young age can influence your later life significantly. Luckily for the protagonist Rei, he is taken in by a family. How did it affect his life, and the relations with other people? From the creator of Honey & Clover, comes the manga "3-gatsu no Lion", a slice of life manga which incorporates dramatic elements. As mentioned earlier, due to Rei losing his parents, his life is thrown upside down. Insecurity and loneliness plagues his everyday life, even when living in an adopted family, being shogi his only scapeway to avoid confronting his new-found life. Obviously showing talent in Shogi, he ranks up to a professional player, enabling him to move out. Next door a family composed of three sisters live, which have one thing common: both don't have parents. This will enlighten the protagonists mood through this new heartwarming and welcoming neighbours. It may appear as the main focus of the manga lies in developing the main character as a shogi player; I rather believe it to be play a secondary role in developing and narrating Rei's everyday struggle with life, such as loneliness and his insecurities. Through interactions with different characters, the author manages to flesh out the different main characters as well as developing them subtly through heartwarming, realistic, yet human relationships including their hardships. To lighten up the atmosphere of the story, humorous moments are introduced through personalities of certain characters, or simple, yet daily situations. The story doesn't focus entirely on Rei: besides of the background stories of secondary characters, and interactions between them, it also incorporates detailed explanations on how Shogi works, as well as providing in-depth explanations at the end of chapters of certain rules or moves on certain matches. The characters of 3-gatsu no Lion are fleshed out well through background stories and interactions with the cast. However, character development is restricted to the main protagonist, which in turn isn't tremendous either, focusing mainly on exploring his past and behaviour. Nevertheless, through little actions, some of it can be appreciated. One thing that must be mentioned is the fact that most secondary characters are overly too positive and bright, meaning not acting as realistic as the main characters are. Nevertheless, this in turn provides a good medium to enlighten the overall atmosphere of the manga and enhance the narrative, as I believe its objective isn't to narrate realistic stories, rather a heartwarming tale of a developing young adult. The art style of 3-gatsu no Lion is well done. The characters are easily distinguishable from each other, even the secondary characters. It must be mentioned that the main character's design is very generic. Backgrounds are detailed and drawn when needed, though at times there were empty panels present. The succession of these panels are not displayed in the usual approach either, which is a nice change. Overall 3-gatsu no Lion was an enjoyable read, where its main strength lay in portraying human relationships, in which Shogi played a secondary role as a medium to develop the main character. I personally found myself more intrigued in the human relationships and background stories than the game, yet readers that want to have an insight and immerse themselves in Shogi won't be disappointed, as this was shown well. Who do you want Akari to end up with?